Hot ringtones on Audiko.net! 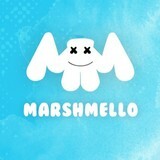 It’s easy to download a free Marshmello ringtones for your iPhone or mobile. Take your favorite snippet from your favorite track - Marshmello - Alone, Alone - Marshmello, #MASHNOISE 3 twenty one pilots x marshmello -Ride in Summer , or any other track. We provide you with an option to gain your track piece both in the MP3 and m4a formats, compatible with both mobile phones and iPhones. Just select a track, and choose free Marshmello ringtones download option.